Prof Haydn Wadley’s group at the University of Virginia uses IMPETUS software for research into blast loading events. The activities involve numerical simulations and full-scale field tests to validate the numerical results. "Working with IMPETUS has presented us with a unique numerical platform. We have achieved simulation results otherwise not possible"
IMPETUS supported the University of Virginia in using the discrete particle module of the IMPETUS Afea Solver. 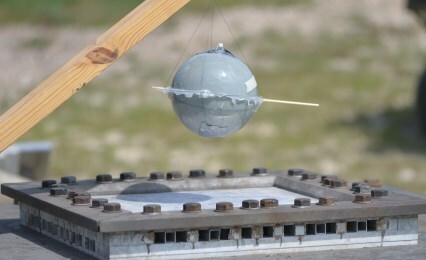 The software was used to investigate events involving high explosives and their interaction with sand, air and deformable structures. "The team at IMPETUS took me from a novice finite element user and developed me into an independent practitioner during the course of my PhD work. My doctoral work studied the interaction between explosively energized sand particles and a deformable metallic structure. IMPETUS allowed me to simulate these dynamic events and gain insight of the particle-structure interaction in ways not possible experimentally or with other numerical codes on the market. As new features to the code were required to enhance my simulations and scientific findings, the IMPETUS team was always quick to develop the required functionality. IMPETUS played a crucial role in my dissertation, but the working relationship built with this highly talented and motivated company remains one of the greatest memories from my doctoral work." "Spending three weeks in Norway working directly with IMPETUS developers was one of the best experiences I've had. Being able to work first hand with the developers was extremely informative and insightful to see the thought behind the software and the ideas of development for the future. I was able to directly ask questions about the software and develop skills to maximize my efficiency as an IMPETUS user. Besides working directly with the developers, I was able to explore the countryside and experience what a beautiful country Norway is from its landscape to its people." IMPETUS delivered customized training for PhD students from the University of Virginia. This enabled the staff to run in-house IMPETUS simulations. At a later stage, modelling services were provided and new capabilities were added to the software.